Now that I am approaching the end of my pregnancy (5 weeks to go OMG! ), it’s lovely looking back at it and what an amazing journey it has been. 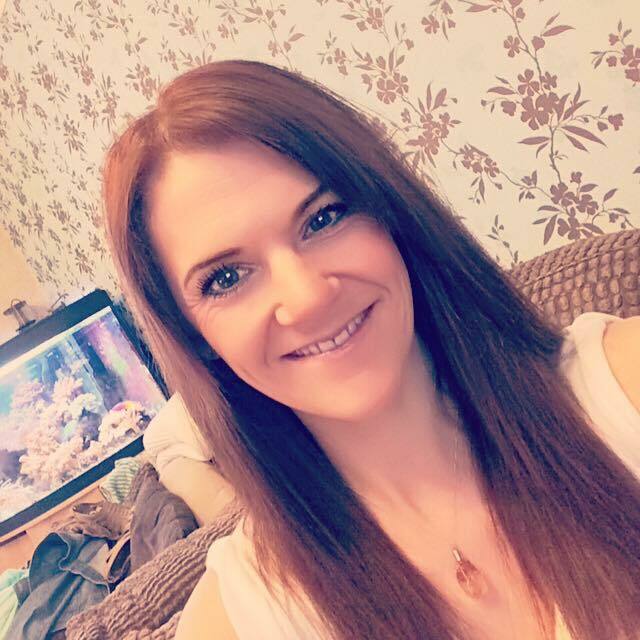 When I first found out I was pregnant I thought I knew what to expect; it’s fairly standard right, a bit of sickness, a bit of tiredness and hopefully a craving for cream cakes! I’ve loved every second of being pregnant and am so grateful to be pregnant so I hate to complain about any side of it. But I will say this, pregnancy is not as easy as I thought it would be and with it has come all sorts of weird and wonderful side effects. Here are some of the things that have affected and surprised me the most in the last 8 and a half months. 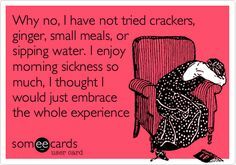 Morning Sickness can last all day….every day… the whole way through! I had hoped I’d be lucky when it came to morning sickness; one of my friends suffered dreadfully with it but all my other friends and my mum avoided it. The first week after finding out we were expecting I was fine, in a happy little bubble. Then Boom! Morning sickness arrived like a bat out of hell! I was beyond sick, to the point where I stopped working and my local hospital instructed me not to travel too far afield as they wanted to be able to hook me up to an IV should the need arise as I was being that sick. My husband was literally my hero in the first trimester; he really had to look after me. 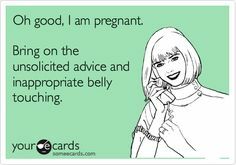 Obviously we kept the pregnancy a secret until we reached the 12 week mark so we had to come up with some many little white lies as to why I couldn’t go out and why I wasn’t visiting family and friends as usual. I did everything in my power to look after myself despite being so sick; I made sure that the meals I ate were full of vegetables and goodness and if I could just keep them down for a couple of hours me and my midwife were happy. I got really upset one week as I was so worried I wasn’t getting enough goodness but it had got so bad my midwife insisted I was not to worry and as long as I was getting some food into my system and drinking loads of fluids I’d be OK. I drank loads of water as I didn’t want to be hooked up to the IV and I think this helped a huge amount. When we got to 12 weeks I was sure it’d just disappear. And it didn’t. I wasn’t being sick as many times a day but I was sick every day still. At this point it had almost become normal to me and I think I felt a sense of relief because people finally knew why I was so unwell. I got through it by constantly reminding myself how lucky I was to be in this position and it was all worth it. I also felt lucky that despite my sickness I was putting weight on and seeing my little bump grow made every bout of nausea well worth it! Between weeks 18-24 things perked up. I was probably only being sick about once or twice a week and it was lovely not to be so nauseous and drained. I had been diagnosed with low blood pressure at this point too so it was even more important to me to eat well so I didn’t faint (although I still managed to do this on several occasions including once after a midwife appointment – talk about timing)! So I really enjoyed this time and was so glad it came when we went on holiday so I could really enjoy that. But as soon as I got into the third trimester the sickness returned. In fairness it hasn’t been as relentless in terms of the amount of times I am sick a day, it seems to occur every couple of days. I actually hate it more now as I feel so guilty on baby when I throw up as he or she must be wondering what all this movement and noise is. 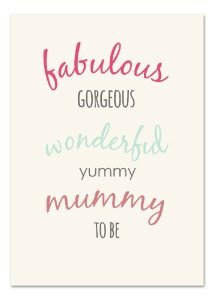 Thankfully the home stretch is in sight and every time I feel rubbish I remind myself that little one will be here soon. I have been so fortunate with my midwife and the care I’ve received – if you’re suffering with this be sure to get lots of advice from your midwife, drink absolutely gallons of water and allow yourself to rely on your other half to take care of you. I started nesting super early on. I’ve always like everything in my house to be pretty and organised (make the most of it now), but by around the fourth month of pregnancy I noticed I had an indescribable need to clean everything. One morning my husband went out for a run and before leaving asked me to grab a recipe book from the shelf in our kitchen so he could pick something to cook that night. Rather than me just grabbing the book, I emptied the whole shelf and the one below it, cleaned it, disinfected it, and put it all back with the books in height order! Another time I was in the middle of cooking dinner when I realised the fridge shelf needed a wipe. This lead to me cleaning out the whole fridge, washing it, putting everything back with jars on one shelf, sauces on another, and so on, all whilst cooking, what turned out to be a delicious spaghetti bolognese. I also had one of, surprisingly few, freak outs in the second trimester where I informed my husband we needed to go shopping for everything we needed and get organised. I love that he didn’t argue this; from his point of view he just didn’t want me stressing so he was happy to do it plus he saw my point of not wanting to be stressing about doing it all towards the end of the pregnancy! When we told people we were going shopping for stuff we were met with a few comments along the lines of “why are you doing all that now”. But my point of view was, why not! And I am so glad we did – it’s given me this last few weeks to relax; the nursery is done (and absolutely stunning – big points to hubby on that one), my hospital bag is packed, I know how to work my pram and I’m not up at night worrying I’ve not got myself organised. I guess it’s a control thing but I think if it made me feel better it was a good thing to do. 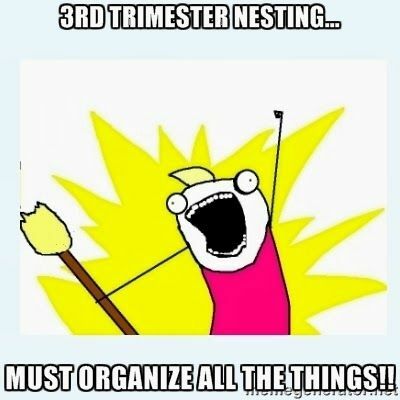 Now that I’m in the third trimester the nesting in the house has hit full force. Windows are being cleaned, my bathrooms are spotless, and I was beyond delighted when my friend came over earlier and said our house is the cosiest house ever; I took this as a huge compliment as sometimes super clean houses aren’t inviting and you’re just full of fear you’ll spill something!! I’m definitely not like that and whilst I love cleaning everything, I also want it to be inviting. 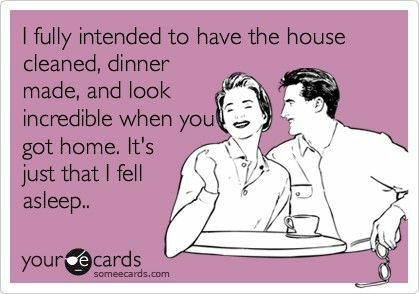 And I get points from the husband who is loving coming home to a clean house every night! The absolute best part about nesting though is without a doubt, washing the babies clothes!! 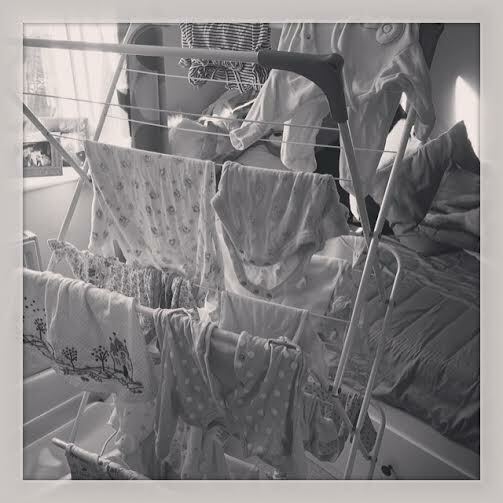 I love it – I love the smell, I love seeing them all hung up to dry and then organising them into the draws in the nursery. It makes me feel like a mummy already. So, I need another nap…..
One of the best things about pregnancy, in my opinion, is that you have full reign to nap! I love naps, I always have. Since being pregnant I seem to have the amazing ability to sleep ANYWHERE! When I was 12 weeks we went to a festival and I managed to sleep on the blanket on the grass through the entire sets of Clean Bandit and George Ezra! I have felt no guilt at all about being tired; growing a human takes it out of you! And as you’ll know from my recent blog posts, sleeping at night becomes increasingly difficult as your pregnancy progresses so if you feel the urge to nap, listen to your body and go with it. I napped pretty much every day during the first trimester as it helped me cope with the sickness and it is generally the time you are the most tired. I was sleeping well at night then too so it was good to get so much rest. Now that I’m in the third trimester I try to nap most afternoons but some days I feel far more energetic than others so I don’t feel the need to nap, but you soon feel it by the time evening comes and you have to go to bed at 8.30! One repeated piece of advice you hear from all mummys is to make the most of this and to nap as much as you can before you deliver so I am totally following this! It turns out that in pregnancy you suffer from a load of side effects that tend to be things you’ve never suffered with before! Heartburn is a very common one. I’ve never suffered with it before but in the last few weeks I’ve been relying on rennies more and more! It’s gross especially having that burning feeling when you’ve not really experienced it before. I think I get it cause I always drink orange juice with my meals, even though it’s horribly acidic, because it helps you absorb more iron from your food. My worst side effect has been, without a doubt, restless legs syndrome. I never had it before pregnancy and I pray that it disappears once I’ve had the baby. 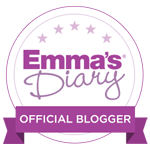 As any of you who follow my blog will know I hate it – in my opinion it’s worse than the morning sickness. It’s the most horrible feeling, it’s hard to explain to people if they’ve never suffered it (and then you feel like you’re making a big deal of it cause you try describing it and it doesn’t sound like that big of a deal) and there is no cure! I’ve tried it all and have just come to realise I can’t do anything. I have a bath every night before bed, and I get my husband to massage my legs when I get into bed, but these things still don’t really help. Thankfully it is apparently a temporary thing so I’m grateful for that. You will cry at anything…. Hormones are fun. 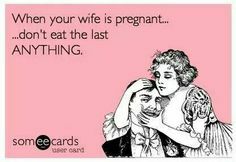 Said no pregnant woman ever! Hormones are a nightmare. I am generally an emotional person anyway, so to top that up with pregnancy hormones has been a minefield and I can genuinely say I feel so sorry for my husband at times! I’ve not been too bad tempered which is good; I am a really feisty person but I hate the thought of any stress being put on my baby through my own doing, such as getting angry over things. So I’ve been quite calm in this respect. But the crying…. oh the crying. I’ve been borderline pathetic at times. I remember watching the Inside Soap Awards (something I shouldn’t even admit to) at the beginning and there was a tribute on there to the chap who played Jim Branning on Eastenders who had recently passed away. I spent a good two hours crying after that. In the summer, when I was unbearably hot and uncomfortable, I was on the phone to my Mum and she was asking how I was. And I burst in to tears; which of course worried poor Mum who started asking what on earth was wrong. My response “I’m hot, I’m too hot”. That’s all it was; I was just absolutely boiling hot and felt the need to have a good cry about this! So yes, I am an absolute cry baby and this comes into effect when I am super happy too; weddings, other friends having their babies or telling me they’re pregnant, and anytime someone buys my little baby a gift, it’s pretty much a given I just burst into tears. I do get a bit grumpy; the lack of sleep doesn’t help and my husband will vouch that keeping me fed throughout the day will banish any bad mood. But as I said before, I don’t really like any negativity in relation to my pregnancy so I do try my best not to be a stroppy cow (unless someone eats the last bit of chocolate in the house, then there’s hell to pay)! This is a tricky subject, and the first thing I will say is that 99% of the time people mean well; their intentions are good.I had always expected to get some peoples advice and opinions when I announced I was pregnant but my god, you get some absolute rubbish thrown at you! One thing I was totally unprepared for was peoples need to touch your bump! I love having friends, family, people I know touching the bump and saying hello. But a few times I’ve had absolute strangers, or friends of friends, people I don’t know, come and touch me. Each time I’ve been polite and just tried to take a subtle step back and put my own hands on my bump so they don’t continue to do so, because as I say,it’s only people being nice. But if you didn’t know someone and they weren’t pregnant you wouldn’t just go and stroke part of their body (well, I bloody hope you wouldn’t)! So be prepared for that but try not to be rude about it. Sometimes I think if you just give off that vibe, people will realise you would rather not be touched. Then comes the advice. I’ve had it all. Some of it is laughable. I’ve been in Costa having a hot chocolate and had a lady tell me if I am doing my baby harm by drinking coffee; as you can imagine I took great pleasure in telling her I wasn’t drinking coffee at all! I’ve had people say it’s perfectly safe to drink alcohol, and that in fact to completely abstain could give your body a shock which in turn would harm the baby (absolutely hilarious – I did actually laugh at this one and No I didn’t have a drink and wouldn’t even consider doing so in pregnancy). I’ve been told not to purchase and bring home a pram until the very end of pregnancy for fear of bad luck;I ignored this and bought it in the fourth month of pregnancy! It is insane how many peoples opinions and advice is thrown at you, and by people who don’t even have kids, or people of a generation where they happily drank brandy all the way through a pregnancy. I always try to explain that things are different now; we are lucky to be in a generation where many studies have been carried out and proven things such as drinking in pregnancy are not OK. Again, always respond to peoples well meaning advice in a positive way; the vast majority of the time they are only trying to help and mean well. Opinions are another thing you’ll face head on in pregnancy. Natural birth or pain relief birth, breastfeed or bottlefeed, routine or no routine. EVERYONE has conflicting opinions. I have friends whose advice I’ve specifically asked for because I’ve admired their parenting skills, how content their kids are and how they’ve dealt with challenging situations. So it’s nice to ask advice. But you’ll always get people who are very passionate about certain subjects and will dish out advice even if you’ve not asked for it, particularly if something worked well for them. I say take everything on board, then make your own decisions with your partner. It’s your little family and if someone is overly imposing their opinion on you and making you feel inferior in anyway, just thank them kindly for their help and close down the subject. Don’t let peoples opinions drag your down too much; take the positives from them and adapt them to your way of doing things. After being unwell last year, I value my friends more than ever. And during my pregnancy they have been a rock in two senses; one is that my mummy friends have been a god send. They’ve reassured me, answered my questions and given me advice I’ve actually wanted and asked for. They’ve looked after me when I’ve been ill, visited me or sent me presents to cheer me up and just generally been amazing. I have the absolute best friends ever and there are a few in particular (I won’t name you on here but you will know upon reading this that I mean you) that have been rocks to me the last few months. Their patience, kindness and sheer excitement about this baby has meant the world to me. Secondly, as well as these beautiful friends, I’ve also had an amazing group of bump buddies. Several of my friends have been pregnant at the same time as me, and although we are all at different stages, it has brought me so close to them. I’ve been friends with these girls for years but now that we are on this special journey together and have this massive excitement to share it’s made for even stronger friendships. It’s been lovely sharing our experiences and comparing bumps and each of these bump buddies is an sweetheart and I am so grateful to be even closer friends with them than ever. Baby kicks are without a doubt the best part of pregnancy. From the moment you feel those first flutters it makes you fall even more in love with your baby, if you can imagine that’s possible. And of course they grow stronger as your pregnancy goes on which is always a welcome reassurance and wonderful feeling, especially when your other half gets to feel it too. 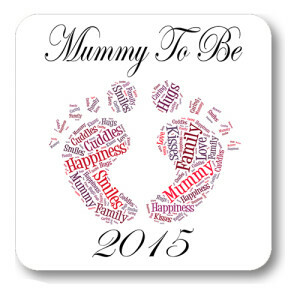 But I did not expect how they would feel at this later stage of pregnancy! The kicks and movements I feel now are so strong it can physically hurt sometimes especially when you get a boot in the ribs. 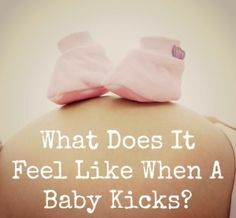 And every day I see my bump raise as a knee, or an elbow pokes out – it is the most insane sight and feeling ever! Both my husband and one of my good friends has felt a heel poke right out and it’s safe to say they were both astonished! The pictures you see of a perfect foot imprint sticking out are obviously fake but mark my words, towards the end there will be no mistaking a knee, heel or elbow poking out. I feel so guilty sometimes cause there has been times it’s been so graphic and strong it’s made me feel a bit sick but knowing baby is wriggling about in there makes me happier than anything! I really hope you enjoy this post. Look out for my weekly pregnancy update tomorrow. Aww, lovely! The absolute best of luck to you! Tempted to have a nap now, haha. 😉 Yes am on Twitter as hellobabybug, would love to link up!